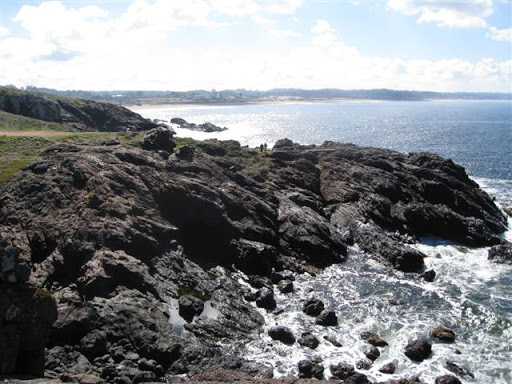 On the eastern tip of Uruguay is the resort town of Punto del Este. Since it’s winter here the population is pretty sparse but the view is magnificent. We drove out for a picnic and returned for my flight through Buenos Aires (where I am now posting this). Although I had a wonderful three seats to stretch out and sleep in on the way here, this time I’m on a full flight, so I may be pretty grumpy by the time I hit Miami early in the morning. The time with Alejandro, Kris and their children David, Nicole and Elizabeth was wonderful. We had a barbeque last night in the most unique setup I’ve seen in awhile (see photo). 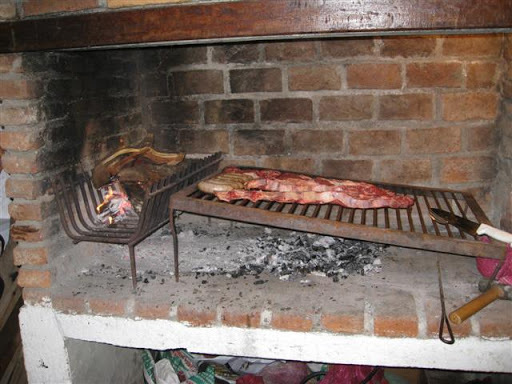 You burn the wood on the left there and rake the coals as they drop over to underneath the meat. It gets cooked by both and it really works well. I might try to make something like this someday. 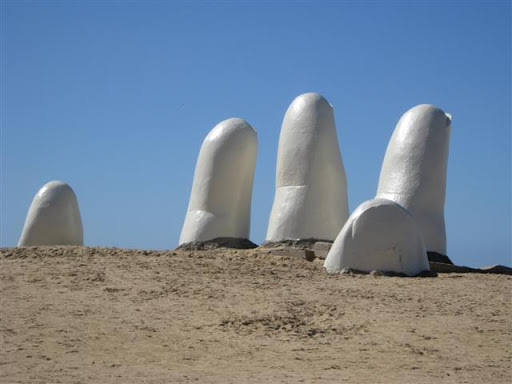 I really liked this sculpture of a hand reaching up from the beach too. 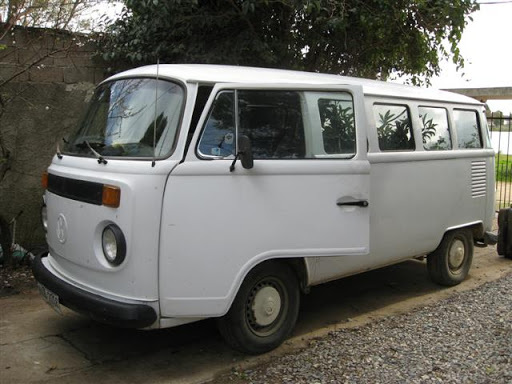 And can you guess how old this VW bus is? Would you believe it’s a 1995? Brazil kept up the VW production long after they ended these models in the USA. 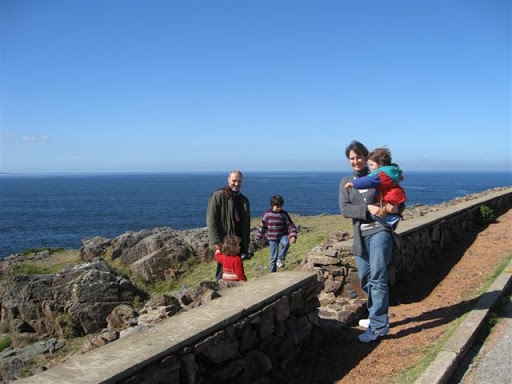 Interesting things about Uruguay: It is fairly flat with its highest hill reaching only 400 meters. It is a big exporter of beef, has no oil of its own, and is a stable government. The people are friendly and ethnically would fit in many European countries. The population is around 3.5 million people, half of whom live in the vicinity of Montevideo, the capital. The Spanish accent is interesting too. They pronounce words fairly clearly but speak more rapidly than Costa Ricans. They use “vos” a lot more than in Costa Rica and have an interesting contraction, “ta” that is short for “esta bien” or “OK”. Kris comes from a German Menonite conclave about an hour from Montevideo so she’s bilingual and has dual citizenship, as do the kids. Ale speaks Spanish, English and Portuguese and supplements his pastoral salary with translation work. I was very impressed with the work and plans of this church in Uruguay and look forward to seeing how we can partner with them more.